On October 15, BYD presented a fleet of 34 e6 electric taxis in Brussels, Belgium where an official inauguration of a government project with 50 EVs was held. The Chinese cars entered service in Brussels over the last few months, so some locals may have already had the chance to ride in one. In Europe, BYD e6 can also be spotted in Rotterdam and London, but of course those projects don’t compare to China where 850 BYD e6 taxis are in service solely in Shenzhen, plus a further 45 in Hong Kong. Accumulated distance for e6 taxis exceed 200 million kilometers. 300 km (186 miles) of range – via a 61.4 kWh battery, and 2 hour charging capability enables each taxi to drive hundreds of kilometers every day. The world’s fastest charging electric bus is now operating in the eastern Chinese port city of Ningbo. According to local transportation authorities, the public bus — which was manufactured in Ningbo and runs along a 24-stop, 11 kilometre route — takes as little as 10 seconds to charge up and be ready for the next leg of its journey. Zhou Qinghe, president of Zhuzhou Electric Locomotive, said that, once charged, the bus can run for a distance of 5 kilometres. While this may not appear to be a copious distance, the extremely rapid charging time combined with the fact that public transit vehicles tend to run along fixed routes mean that the bus can charge up whenever it’s stationary for just a brief period at designated locations – most obviously, passenger loading and disembarkation points. In addition to its rapid charging ability, the bus is also capable of more efficient usage of its energy during its travel. 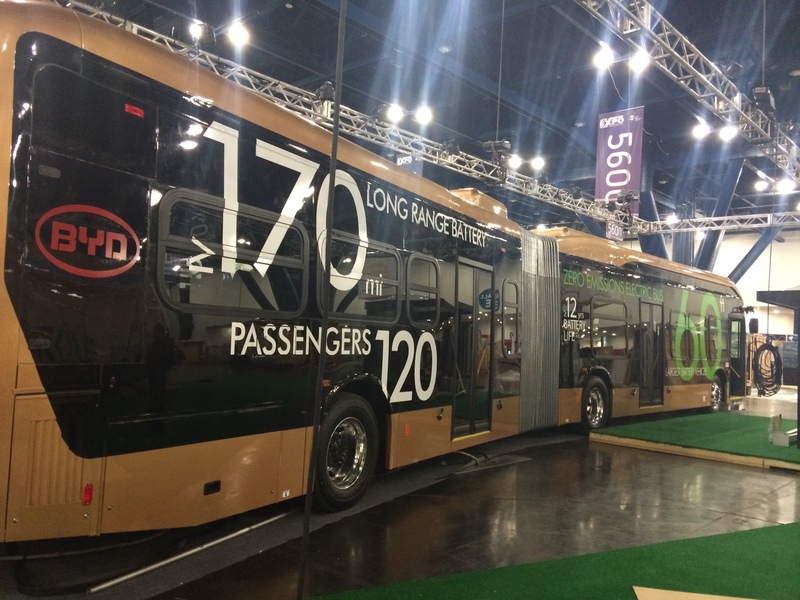 While braking or negotiating slopes, the bus recycles over 80% of potential energy for storage and subsequent usage. This translates into a reduction in electricity consumption of around 30–50% compared to its conventional peers. Ningbo’s new electric bus makes use of supercapacitor technology that has already been trialled in nearby Shanghai for almost a decade. The bus’s supercapacitors are manufactured from a cutting-edge carbon material that functions in all likely temperatures (from -40 degrees to 60 degrees Celsius). The organic super capacitors are also extremely resilient, capable of charging and discharging on over a million occasions, conferring them with a service life of as long as 12 years. Using only one tenth the energy of a standard diesel bus, this performance translates into fuel savings of as much as $200,000 over the full lifetime of the vehicle. Ningbo now plans to add 1,200 more such buses to its public transportation fleet over the next 3 years.